Whether it is an internationally known figure or a “local hero,” reflecting upon how we remember great men and women can be instructive. Eulogies are an important form of articulating what we understand to be a good life. Angela Weiss/AFP/Getty Images (source for photo). 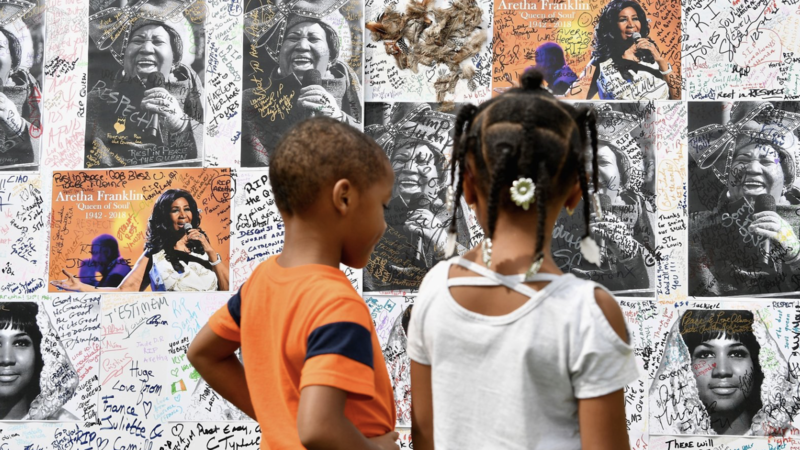 Aretha Franklin, already known as “The Queen of Soul” even before she died, has been remembered for her incredible musical talent. She possessed “one of pop’s most commanding and singular voices,” as Rolling Stone magazine put it, a voice “that could move from a sly, seductive purr to a commanding gospel roar.” Others highlighted how her songs became powerful anthems for the civil rights and feminist movements of the late 1960s and 70s. More biographical treatments explored the significance of gospel music in her life, and I enjoyed learning more about the role her father, C.L. Franklin, a famous preacher, played in helping launch her recording career. I’m sure I was not alone in revisiting and savoring many of her songs in the days following her death. What I love most about Aretha is that she was always unapologetically who she was. She took no gruff from anyone. And she certainly didn’t work for anybody. She graced us with her gift. And we were privileged to receive it. 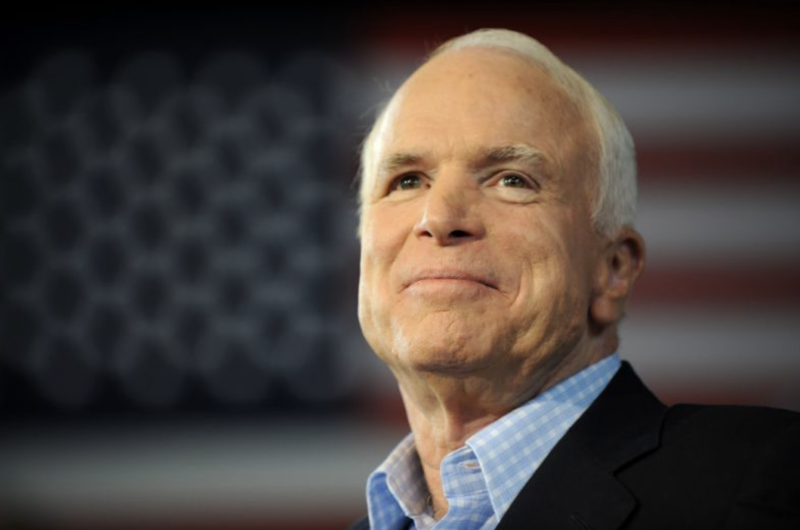 As a political figure Jon McCain’s legacy is unavoidably contested, but people from across the political spectrum offered laudatory words in the days following his passing. Most emphasized McCain’s integrity as well as his brand of independence. I learned that it was John Salter, longtime aide and co-author of several of his memoirs, who first dubbed McCain a “maverick” in the 1990s. The moniker has stuck and it is most likely how he will be remembered in the years ahead. As we approach the Days of Awe, let us resolve to engage in hakarat ha-tov — mentioning the good that people do. There was so much in the life of John McCain that was good, decent, and holy. Let us lift those elements of his story up, and let us turn them into a prayer. Meghan McCain, former President George W. Bush, former President Barack Obama; Pablo Martinez Monsivais/AP (source of image). Tracing this history, we can see that, “Like Pericles and Lincoln, Meghan McCain and Obama offered remarks that were at once conciliatory and provocative. Both used the funeral podium to challenge, critique and endorse specific political actions,” Williams writes. Are there people who you disagree with but still admire? (Another way to put this: Is the only way to earn your admiration to agree with you? )… Which of the people that you disagree with would view it as an honor to speak at your funeral? What would you want them to say? Are you treating them in a way that they would likely accept the invitation and say the things you want them to?… Are there people you disagree with who you could nevertheless benefit from engaging with a bit more? What would it take to make creating that space a priority? If you do this, would people in your identity/political group view you as a traitor? Are you willing to take the risk? Patel believes that these questions can help foster some needed conversations about how to fruitfully engage and negotiate our political, religious and other differences. In a future post, I will further explore the importance of eulogies and how we can mine them for the purposes of helping students reflect on their meaning and purpose. Often it is the honoring of our “local heroes” (family or members of our community) that more directly inspires us to be better and so I will turn my attention to the eulogies that we might encounter in our workaday lives. For now, let us remember and be inspired by these American giants. May their memories be a blessing.